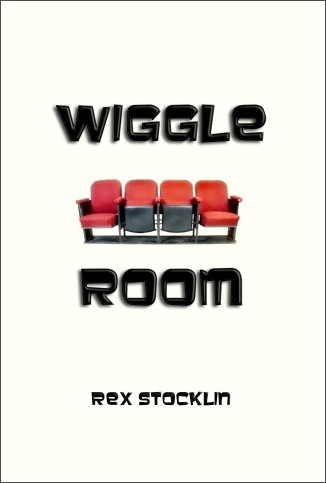 “Rex Stocklin has pulled a poetic rabbit out of his hat, squeaking just past expectations of what poetry should be, in his aptly named Wiggle Room. Each poem in the collection is a morsel of wit, without being overly freighted with expectations of what a poem should do or be. There’s little to no punctuation and most people can’t pull that off, but once you settle on the idea that each ‘thoughtlet’ is only a piece in the stream of consciousness the poet shares, this works quite well. An enjoyable read from start to finish.” ~ Christopher Reilley, "Grief Tattoos"
“Rex Stocklin wills a wider gap in Wiggle Room. The wit, word play, and pleasing rhymes that pepper his haiku and limericks don a resolute grit when recounting stroke and seizure. Rex's fluid path between irony and pathos is potent and compelling.” ~ Richard Fox, "Time Bomb"
Rex was born a boy in the mid-'50s in rural South Central Indiana, grew up in the big city of Indianapolis, and upon graduation, set off for college at Rose-Hulman Institute of Technology. With minimum effort, he still managed to graduate with a a bachelor's degree in chemical engineering. But he was unsettled and hated his engineering job fresh outta school. At this point, he set off West to "find" himself and worked, variously, in the oilfields of Oklahoma, in retail menswear, music and software sales and management, in fast food and full-service food management. Ultimately he ended up as a sales rep for Microsoft, just as the software giant was taking off with Windows 3.0. Through a tragedy of errors, Rex took health leave from Microsoft after a few lucrative years, met his once and future wife through an online service called Prodigy, moved to Los Angeles, performed a midlife reboot and studied graphic design at UCLA, then of all awful things, suffered a devastating stroke at age 39. From this point getting back into his education track was extraordinarily challenging (though, this time, he was a star student) and turned out to be a wash. He and his bride moved back to his Hoosier hometown, in order to save on cost of living and to gain family support. They've lived in suburban Indy ever since the late '90s. It was then an extremely bored, dejected yet motivated Rex decided to start putting his thoughts to mouse. Verse seemed to flow at will. Some of it lunky, some of it really keen. He spent the next 5-6 years honing his craftiness, and the volume being hawked here is the culmination. that needed to be revealed? along my own bleak journey? Get ‘em before they are history!